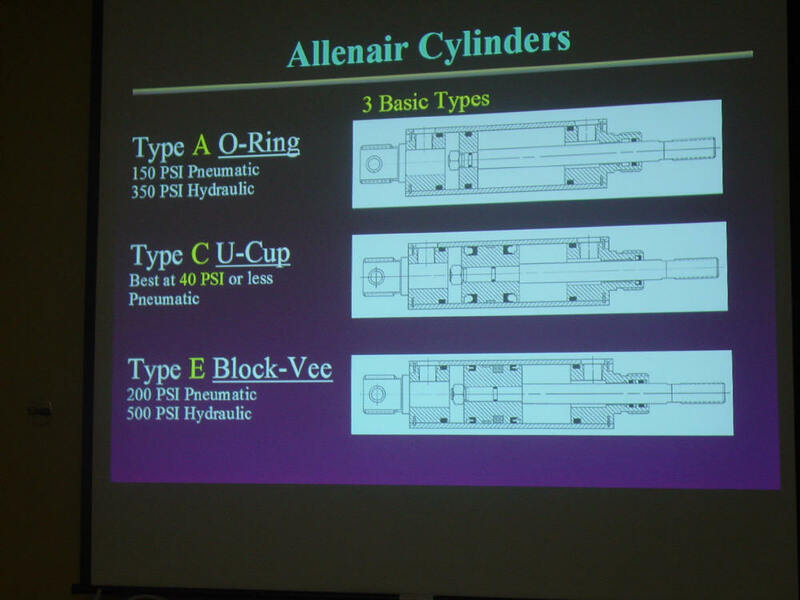 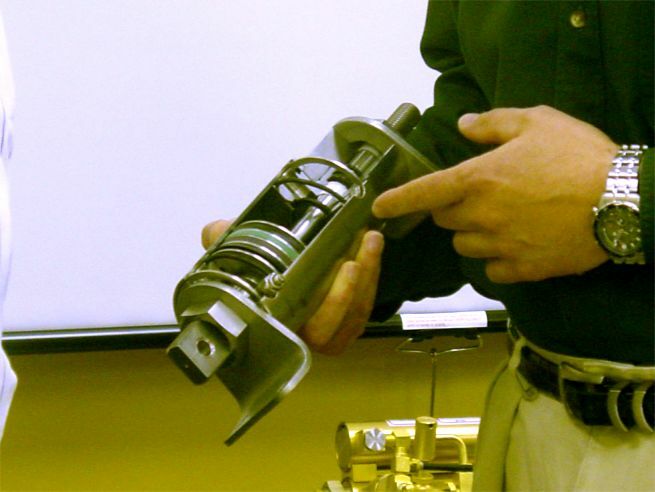 The benefits of Allenair Cylinder construction. 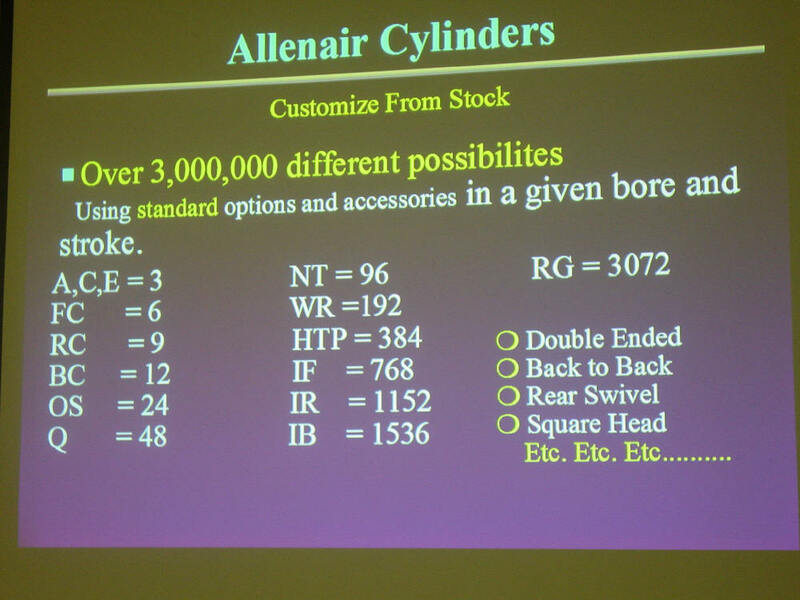 Steven Santoriello demonstrates automation possibilities with Allenair. 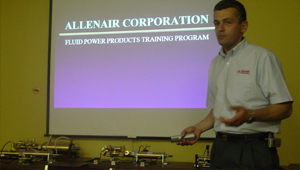 The full range of Allenair automation components are demonstrated and real applications explained. 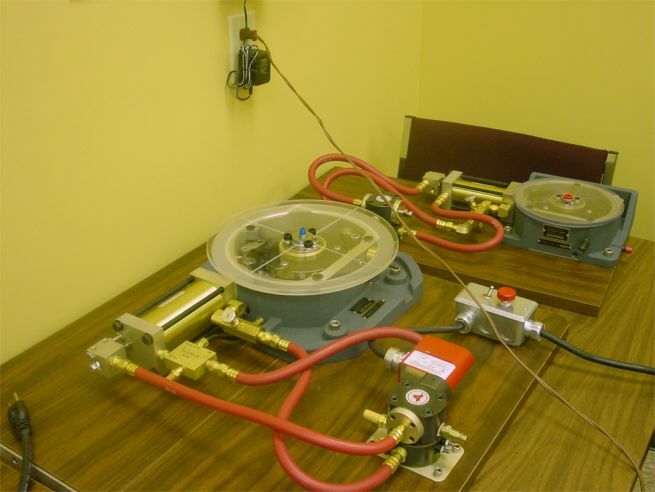 Index Tables offer a huge cost benefit over other alternatives. 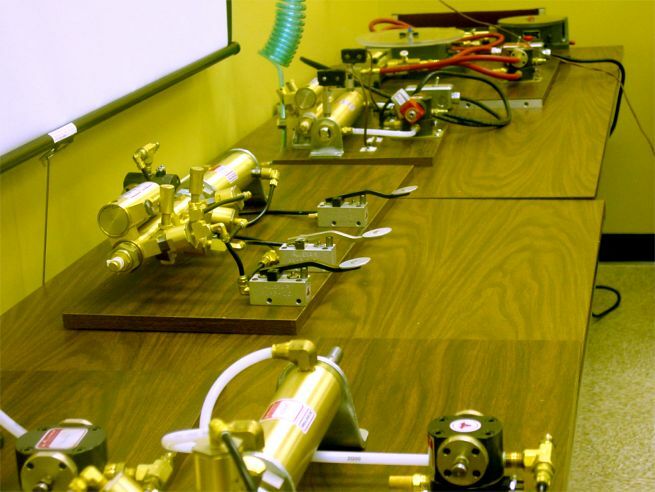 We recently completed our new Conference/Training room. 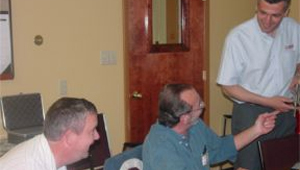 New educational materials including a PowerPoint presentation have been created for a two day Training Program for distributor’s principles and personnel. 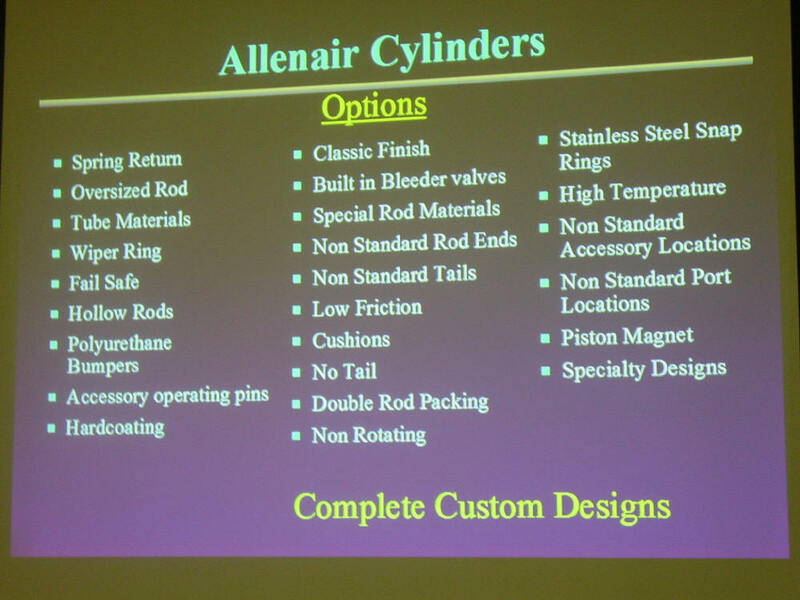 The program covers the full line of Allenair Products and includes a factory tour showing our manufacturing capabilities, numerous applications of our products and a first-hand view of our tremendous inventory. 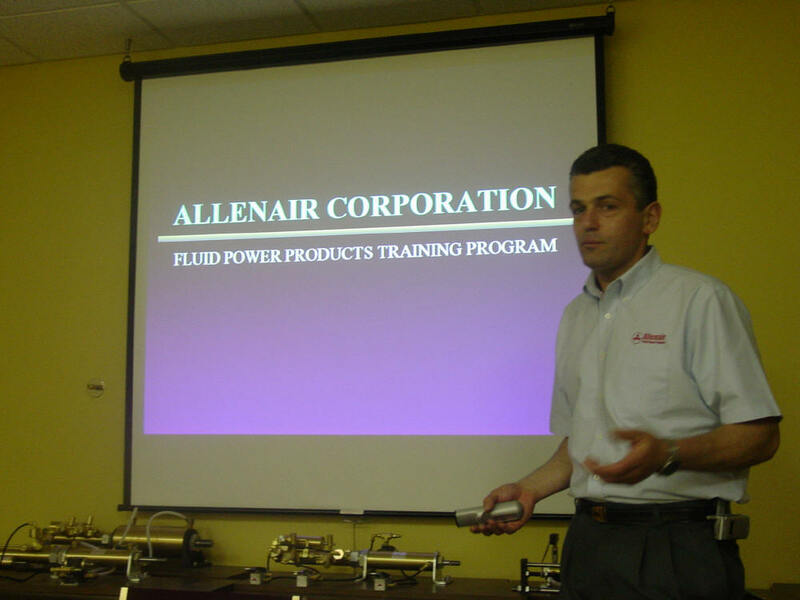 Comments from the ‘graduates’ tell us they understand why Allenair is so proud of our products, quality and service. 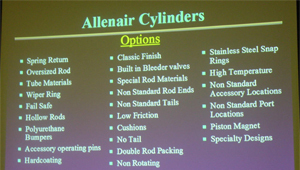 Allenair offers a great array of options. 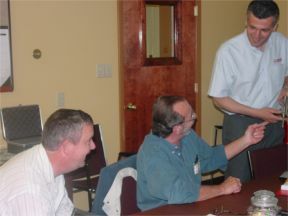 The Fraleigh Company of Little Rock took an active part in the May Workshop. 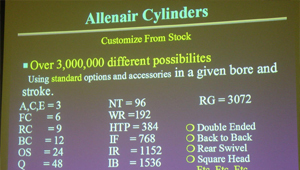 Allenair’s Options give customers over 3 million solutions. 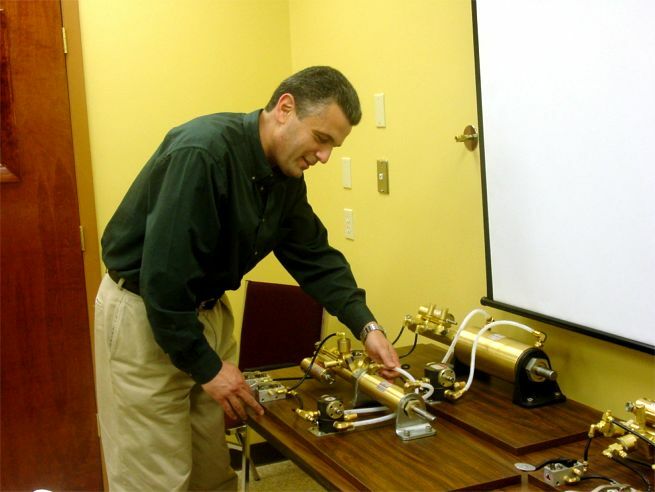 Steve Santoriello begins the new presentation. 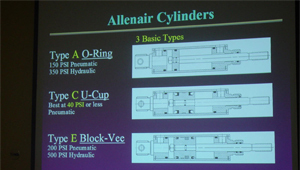 3 Basic Types of Cylinders. 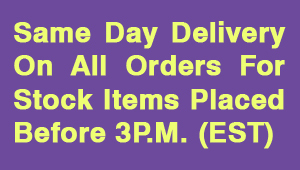 New Same Day Delivery Program.